Storytellers instinctively know the importance of character. Writers of history too frequently forget this, especially writers of military history, whose work is too often limited to strategy and tactics, weapons and supplies. Battles, particularly, present a chaos so intense that merely describing events and sorting out causes and effects is a difficult task. Historians must devote so much effort to faithfully reconstructing a battle’s events that men’s characters are often too little mentioned. 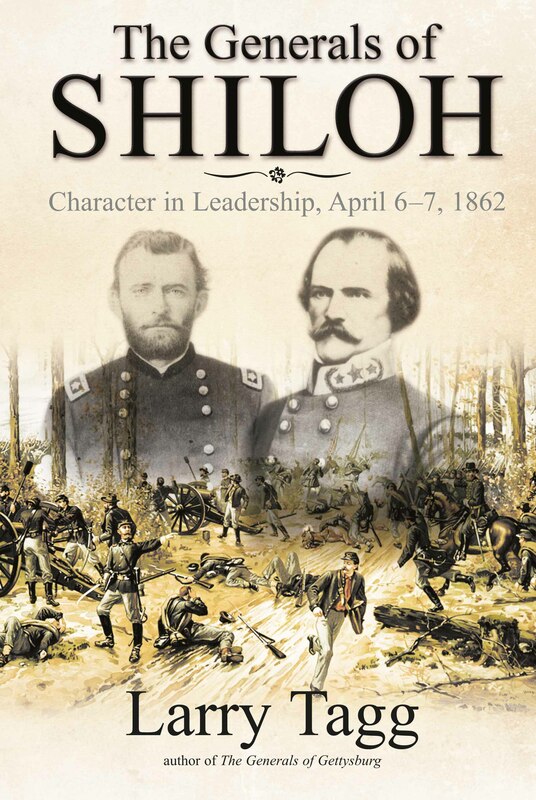 The biographical approach to Shiloh is also valuable as a snapshot of American culture, fourscore and six years after the country’s birth. The color and diversity of the battle’s generals provide a kaleidoscopic view of the society of the period. The United States in 1860 was an unmilitary nation with a tiny standing army. When war broke out in Charleston Harbor in April 1861, hundreds of new generals had to be minted to command hundreds of thousands of new soldiers. These new warrior-leaders were not professionals, but were elevated overnight from a hodge-podge of street-level occupations. Of the 63 brigade-and-up leaders at Shiloh presented in this book, only 14 were serving as career soldiers when Fort Sumter fell, a year before the battle. Thirteen more were lawyers, prominent in their communities and well-connected. Twelve were politicians, including the previous Vice President of the United States, now a Confederate. There were five businessmen (including an Iowa hatter), four plantation owners, two teachers, a millwright, a sheriff, a blacksmith, a riverboat man, a geologist, a horse breeder, a bishop, a newspaper editor, a farmer, a cotton broker, a stagecoach operator, a bridge engineer, a Navy ordnance officer, and an architect. The most famous of them all, Ulysses S. Grant, was clerking at his father’s dry goods store in Illinois. 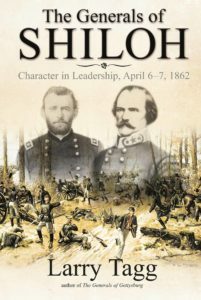 A study of the generals of Shiloh also illuminates the entire history of the Western Theater in the first year of the war. Shiloh was the improbable rendezvous of more than a hundred thousand Americans. They were men here who had fought in and brought experience from every battle in the West over the previous twelve months. Mostly, however, Shiloh was a meeting of young men who had never fired a gun in anger. Some of the new recruits had just received the first muskets they had ever held. That they fought so hard and so well in dense, ravine-crossed woods, under amateur officers, is an indication of the intensity of their will to fight. The consequences of the Battle of Shiloh were profound. Strategically, the Union armies, by defeating the Confederate concentration of the Army of the Mississippi, opened the way to capturing the rail hub of Corinth on May 30 and the city of Memphis on June 6, 1862, two months after the battle. The horrific casualty totals that appeared in the nation’s newspapers, however, produced both the most immediate and the longest-lasting result of the battle: its effect on the nation’s psyche. More than twenty thousand men lay on the field killed or wounded at the battle’s end (and 19 of the 63 leaders on these pages), a number which shocked and dismayed the entire American public. These were unimaginable losses, higher than the Revolutionary War, War of 1812, and Mexican War combined. In the Eastern Theater, news of the holocaust convinced Major General George McClellan, stalled on the Yorktown Peninsula, that his campaign must be won by strategy and maneuver, to avoid the sort of hard fighting that had produced such hideous gore at Shiloh. McClellan’s decision resulted in the Siege of Yorktown, followed by a slow build-up around Richmond that ended, three months later, with the loss of the Peninsula Campaign after a week of hard blows by Robert E. Lee’s Army of Northern Virginia. What followed was a Civil War that took on the dimensions first glimpsed only after Shiloh. Richmond would not be threatened again for two more years, after hundreds of thousands more casualties, and the war would not end for three more bloody years. 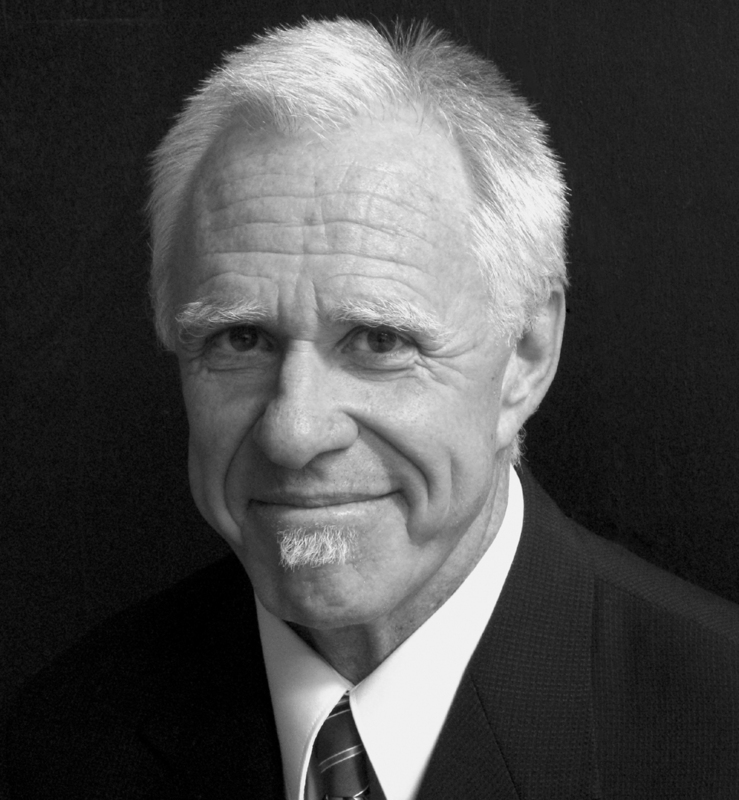 Born in Lincoln, Illinois, Larry Tagg graduated from the University of Texas at Austin. A bass player/singer of world renown, Larry co-founded and enjoyed substantial commercial success with “Bourgeois Tagg” in the mid-1980s. He went on to play bass for Todd Rundgren, Heart, Hall and Oates, and other acts. He recently retired after teaching high school drama, English and Asians and Middle Eastern literature in the prestigious Humanities and International Studies Program in Sacramento, CA. Larry is the author of the bestselling book The Generals of Gettysburg, a selection of the Military Book Club, and The Unpopular Mr. Lincoln. This entry was posted in Meeting archive on May 29, 2018 by hlj.